Is There Really Such Thing As Passive Income? As I’ve alluded to many other times, I’m kind of lazy. Or, as I like to refer to it, being efficient. If I call it that, it feels slightly less like I’m a horrible person who spends altogether too much time on his couch. I just can’t help it, my couch is so comfortable. It’s also ugly, which is just the way couches work. They can be comfy or ugly. Not both. Anyway, because of my well known laziness, I’m constantly on the search for passive income. As most of you already know, there are all sorts of ways to accomplish this. An investor can buy dividend paying stocks or preferred shares. They can buy bonds or other types of debt instruments. They can own real estate, either by investing in a REIT or buying their own properties. Or they can either start or buy an existing blog and make some extra cash online. There’s just one problem. None of those are truly passive income. Sure, most get close. But, for the sake of picking some examples, let’s shoot holes through most forms of so-called passive income. Dividend stocks are in favour because interest rates are so low, so folks who would normally invest in debt instruments are moving to dividend paying stocks. As is the style these days, investors are picking basically the same 50 or so stocks, each of which have a history of steadily increasing their dividend. A good company, combined with a dividend that rises about once a year, like clockwork. Sounds great, right? Sure, it sounds like a great passive income source. But you still have to research the company before you buy, unless you’re some sort of sucker. And you should be reviewing it at least once a quarter, looking at the investment each time their quarterly numbers come out. You should be looking at the financials, checking the fundamentals of the business and reading the quarterly report. And then multiply that by however many stocks you own. That passive income stream isn’t looking so passive now, is it? Other asset types have many of the same problems. Even if you hire a property manager (which will eat significantly into your profits) you’ll still need to communicate with the manager as they keep you updated on your house. Repairs have to be coordinated, rent has to be collected, and so on. Passive income? Nice try. And then we have the worst attempt at passive income of all, blogging. Having a blog is probably the furthest thing from passive income. You constantly have to produce new content. You have to keep the search engines happy, as well as other technical stuff. Sure, you can outsource a lot of this stuff, but that cuts into profits. Having a blog is nothing more than having a job. Don’t fret though, I have no problem with the quest for passive income. I just want people to know that it isn’t quite the free ride it’s made out to be. It’s not income for nothing as it’s presented. It’s more like income for less work that what you’d do at your day job. The beauty of passive income, as you all can figure out, is when it starts to compound. If you allocate the dividend payments towards buying more shares, you can really start to supercharge your portfolio returns. If you take your rent cheque and use it to eventually pay off that investment property, you’ll have two rent cheques to put towards the next one. It doesn’t matter how people get rich, every single one of them uses compound interest to get there. Here’s a question for you: How much extra time does it take to research a particular investment if you put in $100,000 compared to $10,000? Well, assuming everything else is equal, it takes no more time. The research process is the same, no matter how many shares are about to change hands. It takes slightly more effort to manage two rental houses than one, and slightly more still to manage five. As with most every business, there are economies of scale that kick in. What exactly are you waiting for? Start working on that passive income. Or, should I call it “not quite effortless” income? I like to call it “low maintenance” income. I may be a little biased, but dividends would be the most passive out of the lot. There are some really great companies out there like Enbridge that make dividend investing very easy; the money just shows up in the trading account while you focus on other things in your life. Good post! I agree with addicted2dividends that dividend or a type of couch potato with indexes is quite passive. No matter what you do, if you have a bit of money and you invest, you SHOULD review your portfolio and make adjustments as necessary. Doing research or work before buying an investment doesn’t mean it isn’t passive income. The lowest time requirement to make money overall is buying a lottery ticket. But the lowest time requirement *after* buying an investment is with government bonds in a stable country. You still might have to do research ahead of time to decide if the country is stable. As I wrote on my blog recently, owning any type of private business including a blog is far from passive. If you stop working you can easily lose whatever was making you money. Major corporations with thousands of the smartest people working 80-hour weeks can barely keep up – a one person business will not last forever without maintenance. The points you made are why I prefer the term “residual income” to “passive income.” Whatever you call it, it’s great stuff though. Nice post. I’m not sure I would consider dividends passive income. 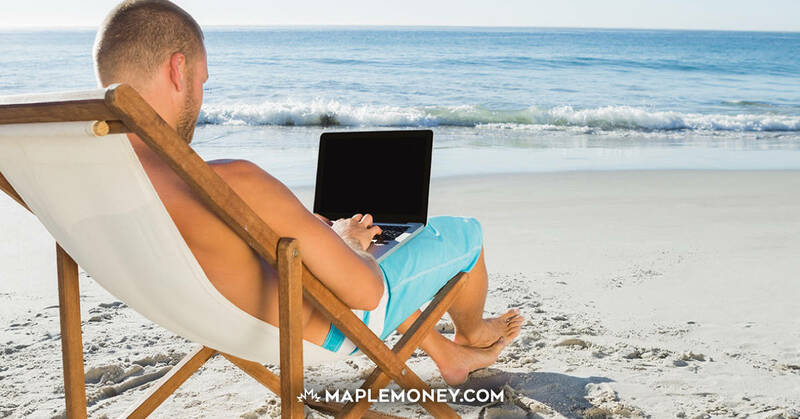 It sounds like the point is broader — passive income is allowing your money to make money. Dividends are simply part of the total return on an investment. Growth stocks pay no dividends as they constantly reinvest in their own business and drive return through stock appreciation. Dividend paying stocks (generally mature companies), expect lower price appreciation and, instead, pay dividends. Either way, I’m not sure I would consider investing ‘passive income’…could just be semantics. Passive income, from what I’ve seen, should instead be called ‘high margin recurring business'(e.g., subscription models). It’s hard work to build the subscriber base but, once you have a critical mass, you can make great money with limited maintenance (e.g., harvest the business). I completely agree that it’s HARD…and most people give examples of ‘passive income’ success stories without understanding what that individual or company put into it.